NewGround - iOS, Android, BlackBerry mobile software design company in Ukraine. 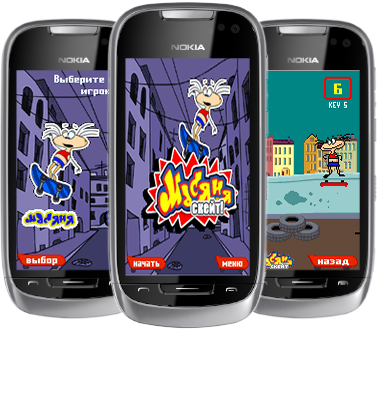 Famous Masyanya now is on your handset. Help Masyanya and her friend Hrundel to find a way through the city, avoiding various obstacles and fury pets. Collect all bonuses and get higher skills in skating.